Thank you to those who wrote in for this prompt! December’s prompt was to write the Christmas story from the donkey’s perspective. 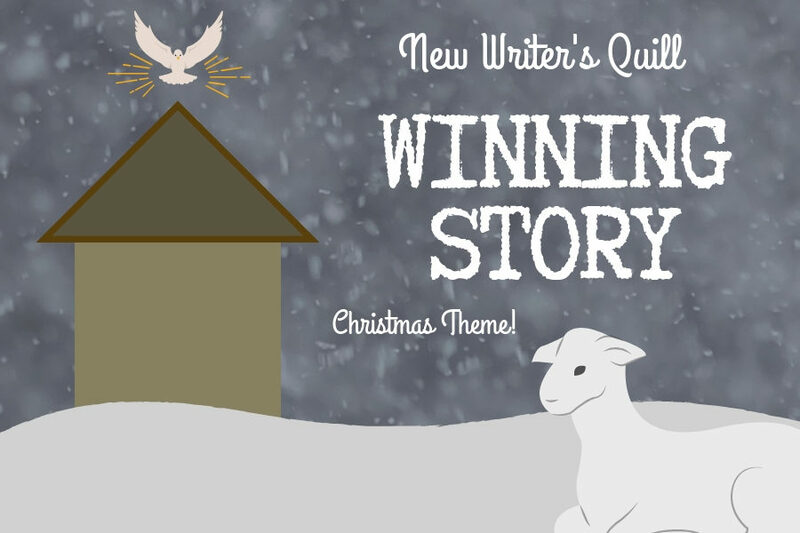 Enjoy the winning story below! Congratulations Lindsay! I knew by the way that they were looking at me, I was involved in whatever scheme they were cooking up. Mary and Joseph had been talking about a trip to Bethlehem the previous night, but they didn’t bother to run it by me—which isn’t unusual, they hardly ever run anything by me. Who cares what the donkey thinks, right? Obviously, they don’t, so I was going to show them exactly who they were dealing with when they pulled out that harness. Joseph slipped it on my snout just fine, as usual—but only because I let him. I don’t really mind the harness so much, it’s more Joseph’s incessant pulling when he thinks I’m walking off course. I am very lucky that he does not know how to speak donkey, because if he knew what was “hee haw”ing from this mouth, boy would I be in trouble. “Alright, careful now,” Joseph said as he led Mary by the hand towards my back. Mary was smiling as if Joseph were amusing, with all that adorable concern he had for her—I don’t know why he was concerned, she only had a big belly. Maybe that meant she was sick. I began to wonder whether I had better rethink my thoughts on being a rebellious donkey, until Mary plunked down in the middle of my back. Sick or not, she was heavy, and I like to consider myself conservative of how much effort I put into my work. Carrying her would require far more than the maximum ration of effort I allow myself. And then along came Joseph, pulling on my snout again. Are donkeys unworthy of concern? Have humans no consideration for my feelings? I waited a moment, wondering if Joseph would stop, or at the very least, not pull so hard, but he persisted. And thus, the battle between donkey’s stubbornness and man’s determination began. Joseph, having realized that I was not responding to the harness, disappeared behind me. I felt uncomfortable, as he happened to be in my blind spot, so I turned my head for a better view, but not soon enough. I felt his hands pushing against my rear, urging me forward, and I had half a mind to show him the power behind my donkey feet. But, I knew that Mary cared about him, so I thought better of it. I couldn’t hurt Mary, she was too kind to me—so Plan B would have to do. “Joseph, I could walk…” Mary began to say, a tremor of discomfort in her voice. My ears pricked at this comment and half of my lazy-self rejoiced, while the other half felt dreadful. If she was sick, how would she make it to Bethlehem on foot? She wouldn’t, and that was the point I had to take into consideration. So, like the good donkey I am, I began walking, which was rather unfortunate for Joseph—he had been leaning against my hind quarters and promptly fell into a puddle of mud. Ah, how sweet revenge could be, and yet so cold. The journey was long, but we stopped along the way for water and to rest often enough that I didn’t need as much effort as I thought I would. While Mary was still somewhat heavy, I trudged along without fail, my hooves moving easily and my legs keeping strong beneath the great bulk of human that sat upon my back. The trouble did not begin until we reached our destination, just a day too late, it seemed. Joseph argued with several men outside of countless places he referred to as “inns”. Every single inn keeper seemed to have the same answer: “There’s no room at the inn.” Sounds poetic, doesn’t it? Sad, but poetic just the same. So, we kept moving, and as night began to fall, Mary began to groan. I could tell she was in a great deal of pain, and I began to worry. I tried to comfort her as best I could, but I had forgotten that she too could not speak donkey. “It’s okay, you’re going to be fine, Mary!” I told her loudly. “I’m sure it’s only a passing illness, like a cold! And if you think that’s bad, try hives. Man do those things itch!” But no matter how hard I tried to reach her, she only patted my neck and clenched my hair in her fists. That was when a bird flitted lightly down in the road a few feet in front of me. When Joseph had gone inside another inn, I began conversing with the bird. “Hello, feathered friend,” I said solemnly, lowering my massive head to his level. “Well you see, my friend is ill, and has nowhere to stay for the night,” I told him glumly. The bird seemed confused. “Ill? She does not look ill per se…more like she’s pregnant!” he said, flapping his wings briefly to add emphasis to his reply. The bird flew up into the air and began flapping his way along the road. I decided it would be alright to follow him as soon as Joseph stepped outside, running his hands through his hair in agitation. When he realized I had begun to wander off, he raced after me and took hold of the reins, trying to pull me to a stop, but I did not listen. This woman was about to give birth, and I was not about to let her do so in the cold night air. As we approached the stable, I noticed a bright star shining above us. It nearly brought me to a halt, it was so beautiful, but something kept my hooves moving. We clip-clopped along the dirt roads until finally the bird came to perch atop a post beside an older man. Joseph explained to the man their situation and he let them in immediately. They tied me up inside of a stall and removed Mary from my back, leading her somewhere deeper inside the stable. The bird from before landed gracefully on the gate to my stall and looked at me with a blank, bird-like gaze. “I’m glad she has arrived safely!” he chirped. The bird gave a sharp nod. “I’d be happy to oblige.” With that, he flew off after Mary and Joseph. About an hour or so later, the bird returned, twittering wildly. “Oh it’s a beautiful baby boy, just the cutest. And what a pleasant gift, he’s not making a sound at all,” he reported cheerfully. I gave a loud “hee haw” of glee, then settled down in the hay. It had been a long night, and I felt sleep approaching swiftly. My ears twitched as the last thing I heard before drifting off was the pleasant sound of a baby’s laughter.